Brand: Wabash Valley Farms WVF-77262 Units: 8 oz.jar Can't get enough Butter on your Popcorn? ... 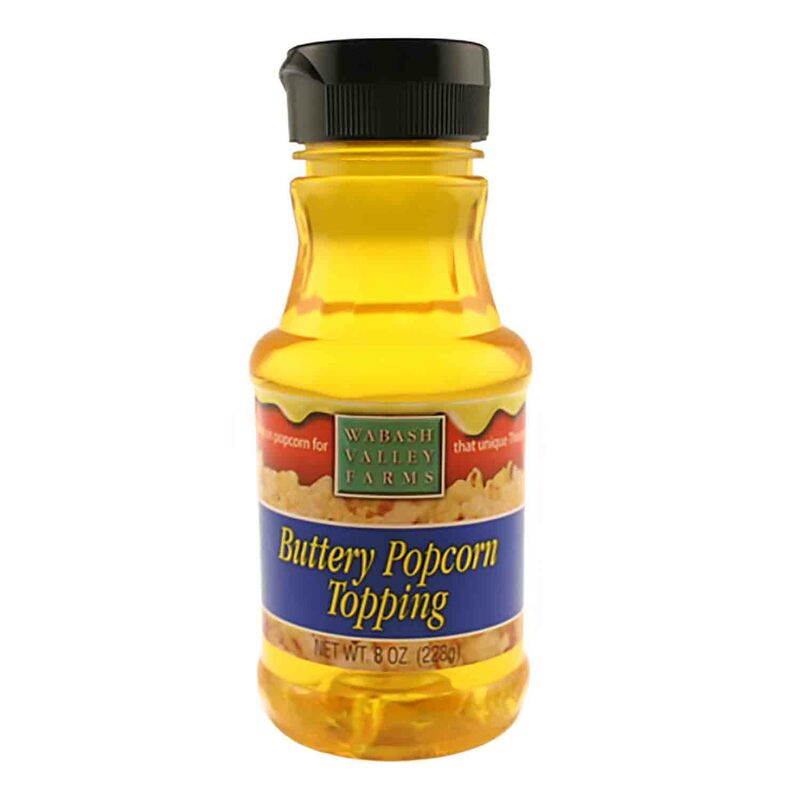 Try this delicious Buttery Popcorn Topping! Can't get enough Butter on your Popcorn? ... Try this delicious Buttery Popcorn Topping! Ingredients: Soybean Oil, Palm Oil, Soy Lecithin, Beta Carotene, Artificial Butter Flavor, tert-Butylhydroquinone, Citric Acid.